Images via Atlas Obsura: Why Do We Sleep Under Blankets? Have you ever wondered why people need blankets to sleep? Even on hot summer nights when a fan or AC can’t make a dent in the heat, we still risk discomfort to remain in contact with a blanket. Why? There are two answers, one behavioral and one physiological. It turns out that our bodies naturally get colder when we sleep. Even though the difference is only a one or two-degree drop, it is still enough of a change to be noticeable. According to Why Do We Sleep Under Blankets, Even on the Hottest Nights, even when a blanket seems like more of a burden than a help, when you fall asleep, you will actually need the warmth that it provides. The body also loses the ability to regulate its temperature during REM sleep hours, making a blanket a literal safety net. The other answer is that we naturally make mental associations at a young age and a few of them are with being tucked in. Also according to Why Do We Sleep Under Blankets, Even on the Hottest Nights, a blanket was one of the first objects that we ever owned and just as we learned to associate the voices of our parents with their faces, we learned to associate having a blanket with security and warmth. Every night we got tucked in, we felt safe and secure. The strong association stuck, and even over a decade later, we feel vulnerable and exposed if we don’t have something to cover us as we sleep. Blankets aren’t just good for helping people sleep, however. According to a different article called Why Do We Sleep Under Blankets, wearing a weighted blanket has been proven to decrease stress and anxiety levels. Blankets also have been proven to increase serotonin (the hormone responsible for happiness and contentedness) levels in the brain. Simple habit also has something to do with why we need covers. It (on average) takes around 66 days to create a habit. 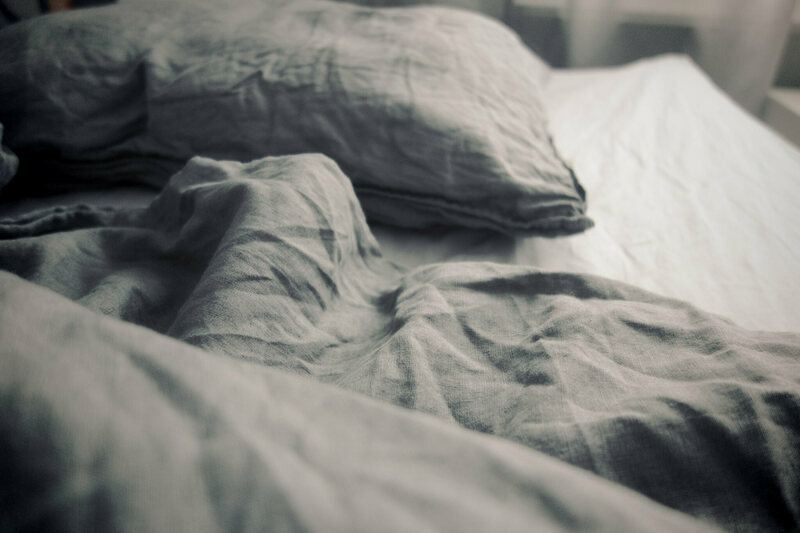 Since it’s pretty safe to say that we have all slept with a blanket every night for years, the habit is pretty well ingrained in our minds.